Saido Berahino has claimed that the eight-week drug ban he secretly served earlier this season was the result of his drink being spiked in a nightclub. 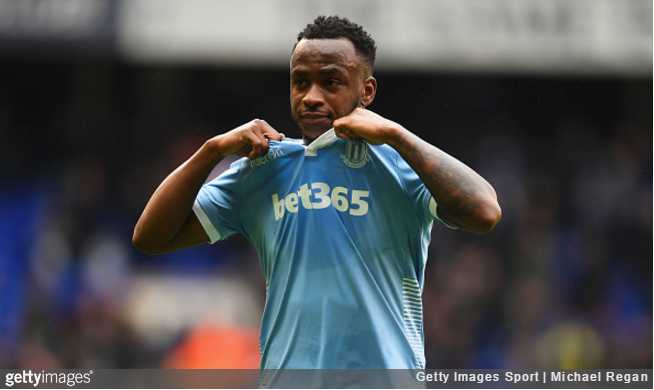 The ban, which Berahino began serving amid a prolonged period of inactivity with West Brom before moving on to Stoke City, came as the result of the 23-year-old striker testing positive for a recreational substance after undergoing an “out-of-competition test” last September. In an interview with BBC Football Focus, Berahino explained that the level of drugs found in his system was “really low” and therefore that indisputably proves he didn’t take anything deliberately. To be banned for something you really haven’t done is hard to take. You go on a night out, you don’t know who you are around and there are people who are out to get you. Of course, I was in a nightclub, so I hold my hand up for being irresponsible. From then on it all crashed down. To this day, I still cannot understand who would want to do that to me. Brings to mind tennis player Richard Gasquet’s devilishly brilliant excuse for testing positive for cocaine at the US Open in 2009 – he went to a nightclub in Miami and inadvertently kissed a girl who had taken coke. Any road up, West Brom boss Tony Pulis repeatedly cited a lack of fitness for Berahino’s extended absence, but the striker now rejects the suggestion that Pulis was trying to protect him. No-one protected me at that club. It was hard not doing what I really love – that’s what killed me the most. Waking up in the morning, playing football and having a smile on your face. Not doing that was the hardest thing for me. Having joined the club as a schoolboy, Berahino also revealed that he turned down multiple contract offers from the Baggies as he had grown to despise the place. I was depressed. Every morning I walked in the training ground I didn’t want to be there. Going from loving something and hating the place that has made you is hard to take. Hate is a strong word but I really didn’t want to be there. That is one of the reasons I didn’t sign the contracts they put on the table. It was not about money, it was about my happiness. Berahino has since gone on to make just two starts for Stoke since his arrival, lending credence to the theory that his fitness and/or frame of mind are still very much on the shonky side. Here’s hoping he gets back on track sooner rather than later, because there’s a more-than-decent little striker in there somewhere – one who possibly could have been England’s first-choice No.9 by this point had he not strayed from the path. Such a shame. I remember watching an interview he did a few years ago when he was just breaking through with the Baggies, he talked about his childhood in Burundi. Sad to see he’s not fulfilling all his early promise, looks like he’s been blinded by the lights of fame (I’m sure certain unsavoury characters around him haven’t helped).